For those of you following me on Instagram you saw the massive amount of chocolate I got for Valentine’s day (total surprise). Within that were two bags of white chocolate chips and a white chocolate baking bar. While the baking bar didn’t make it, along with the Hershey kisses and milk and white chocolate hearts, the chocolate chips survived. I didn’t want to eat them plain, so I held on to them hoping for a better way to use them. 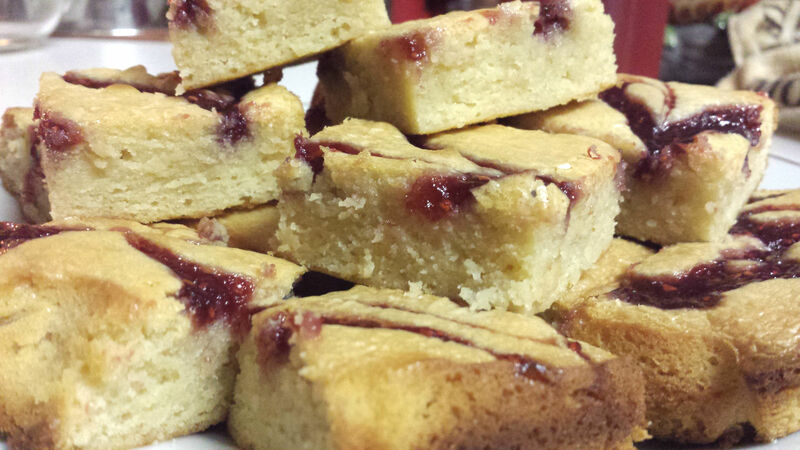 I’ve made blondies before and they were amazing, so I decided to try them again and put a slight twist to them.